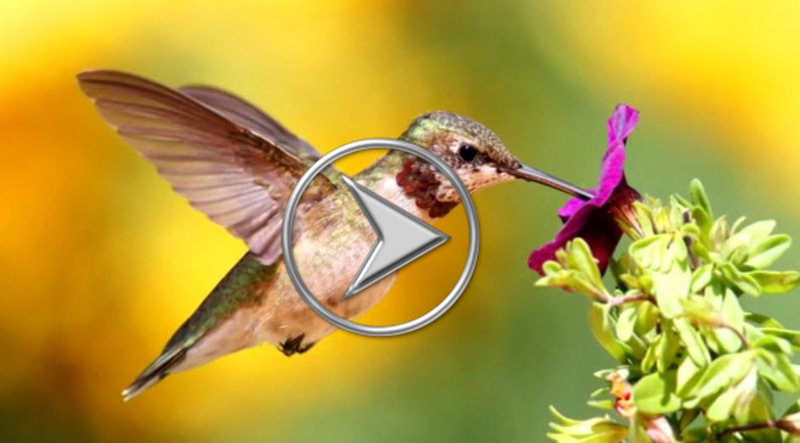 Bee-eaters are birds whose way of life and behavior are both intelligent and unusual. 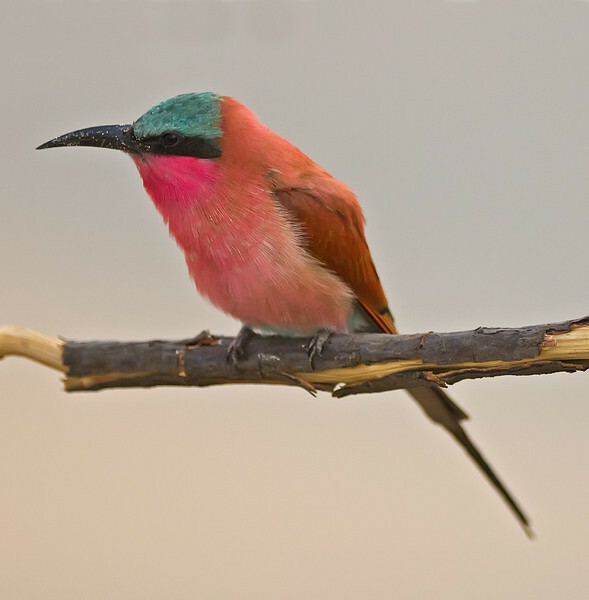 There are 24 species of bee-eaters. Bee-eaters make their living catching and eating bees and wasps with stingers. 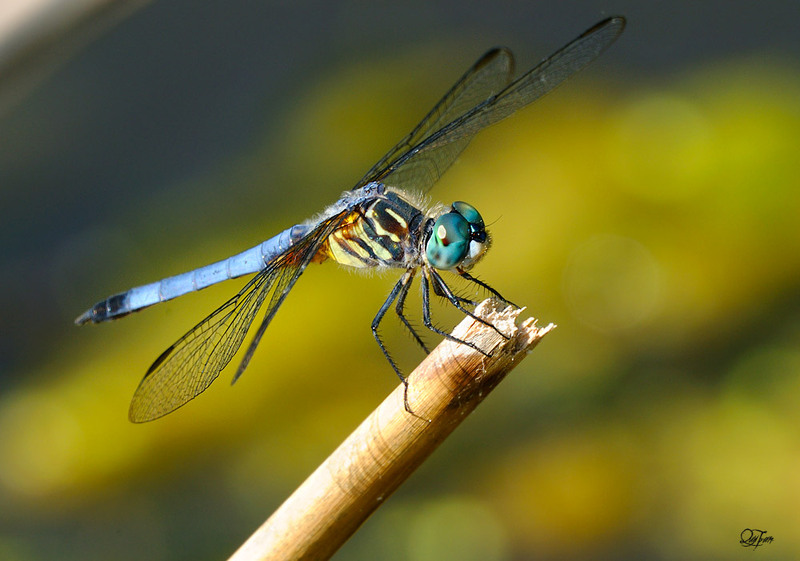 The poison in many of these stinging insects is powerful enough to kill bee-eaters, but the birds are not only skilled at avoiding stings, they know how to remove the poison from the bee when they eat it. Having captured a bee or wasp, a bee-eater will take it to a branch where he will pound its head and rub its stinging end until all of the poison has been removed from the insect’s venom sac. Once the poison is removed, the bee-eater enjoys lunch. Bee-eaters are described as lively and sociable. You seldom see one roosting all by itself. 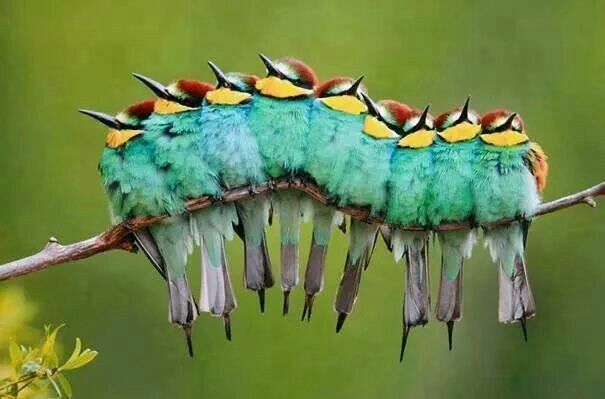 And when the weather is cool, bee-eaters huddle together to keep each other warm. There are even reports that bee-eaters will roost on each other’s backs, forming a feathered pyramid made out of birds. Now, it’s possible that bee-eaters figured out that they were warmer when huddled together, although even that much intelligence had to come from their Creator. 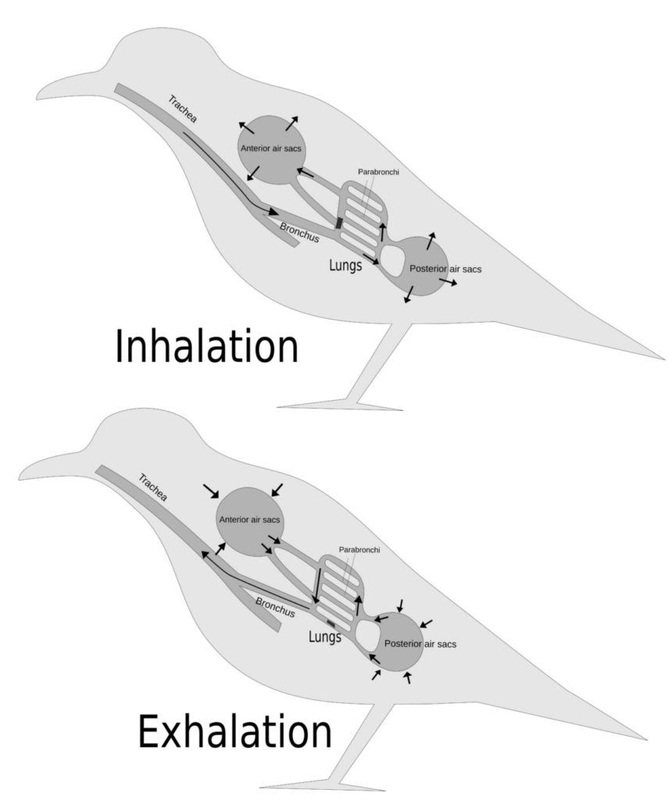 But how could bee-eaters simply “discover” how to detoxify bees? If this ability evolved by trial and error, there would probably be no descendants of the first bee-eaters around today. Obviously, this dangerous behavior would not favor survival. 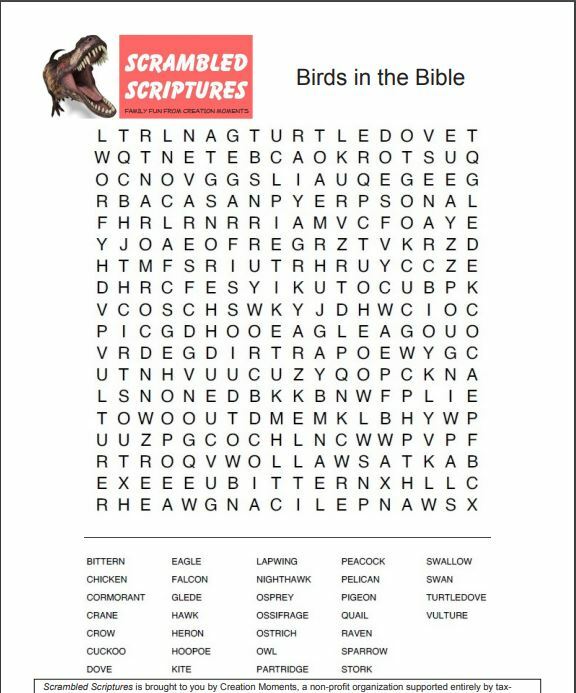 This makes the bee-eater one of God’s own arguments against evolution! Prayer: “Lord, not only does Your wisdom surround us, but You have so generously given intelligence and wisdom to so many of Your creatures. I thank You for the wonder Your handiwork inspires. In Jesus’ Name. Amen. Clanbake. Natural History, Mar. 1990. p. 94. Photo: A male Blue-throated Bee-eater presents his mate with a captured insect. Photo taken by Lip Kee Yap and licensed under the Creative Commons Attribution-Share Alike 2.0 Generic license. Quack! Quack! I got in just in time. I came as fast as I could, as I was afraid of being whipped. You see I live in a boat with a great many other ducks. My master and his family live in the boat too. Isn’t that a funny place to live in? We stay in all night. Waking up early in the morning, we cry Quack! Quack! until we wake the master. He gets up and opens the gate for us and out we tumble into the water. We are in such a hurry that we fall over each other. We swim about awhile and then we go to shore for breakfast. There are wet places near the shore where we find worms, grubs, and roots. When evening comes the master blows a whistle. Then we know it is time to come home. We start as soon as we hear it, and hurry, because the last duck in gets a whipping. It does not hurt much but we do not like it, so we all try to get home first. 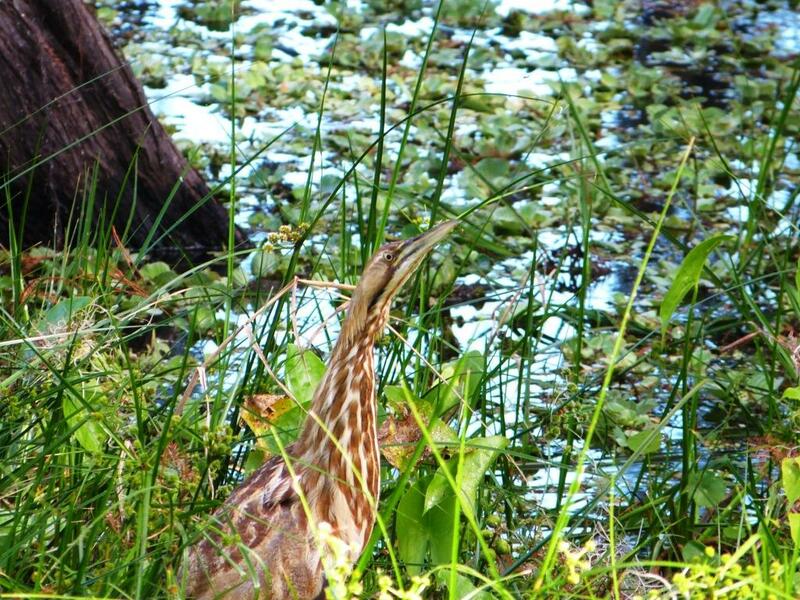 I have web feet, but I perch like other birds on the branches of the trees near the river. My feathers are beautiful in the sunlight. My wife always sits near me. Her dress is not like mine. It is brown and grey. From May to August I lose my bright feathers, then I put on a dress like my wife’s. My master’s family are Chinese, and they are very queer. They would not sell me for anything, as they would not like to have me leave China. Sometimes a pair of us are put in a gay cage and carried to a wedding. After the wedding we are given to the bride and groom. I hear the master’s whistle again. He wants me to come in and go to bed. Quack! Quack! Good bye! 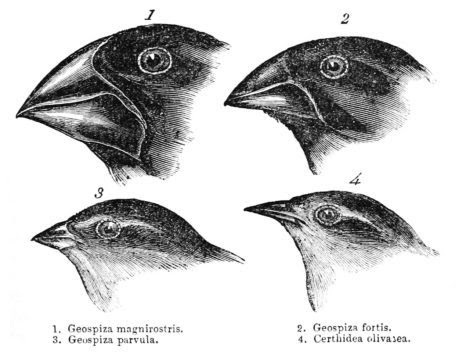 Though web-footed, the birds have the power of perching and it is a curious sight to watch them on the branches of trees overhanging the pond in which they live, the male and female being always close together, the one gorgeous in purple, green, white, and chestnut, and the other soberly appareled in brown and grey. This handsome plumage the male loses during four months of the year, from May to August, when he throws off his fine crest, his wing-fans, and all his brilliant colors, assuming the sober tinted dress of his mate. 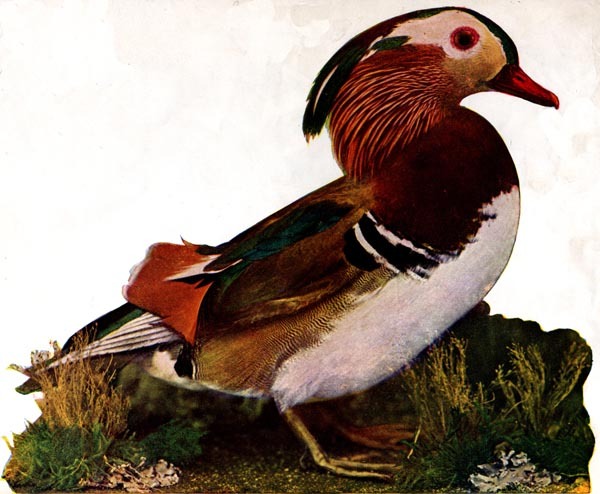 The Summer Duck of America bears a close resemblance to the Mandarin Duck, both in plumage and manners, and at certain times of the year is hardly to be distinguished from that bird. The foreign duck has been successfully reared in Zoological Gardens, some being hatched under the parent bird and others under a domestic hen, the latter hatching the eggs three days in advance of the former. 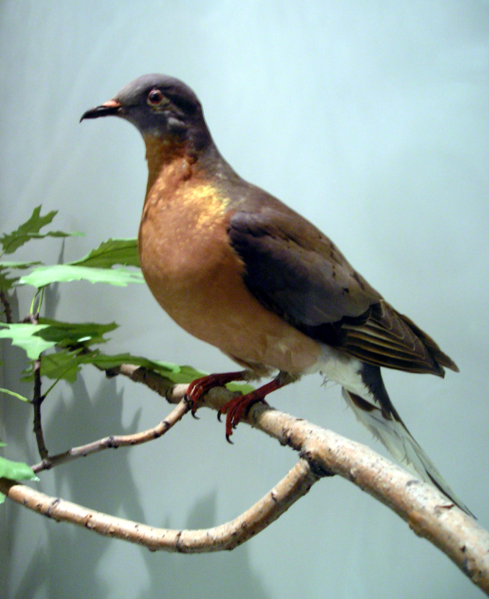 According to Schrenck, this species appears in the countries watered by the Amoor about May, and departs again at the end of August; at this season it is always met with in small or large flocks, which are so extremely shy that they rarely come within gunshot. Whilst on the wing these parties crowd closely together in front, the birds in the rear occupying a comparatively free space. 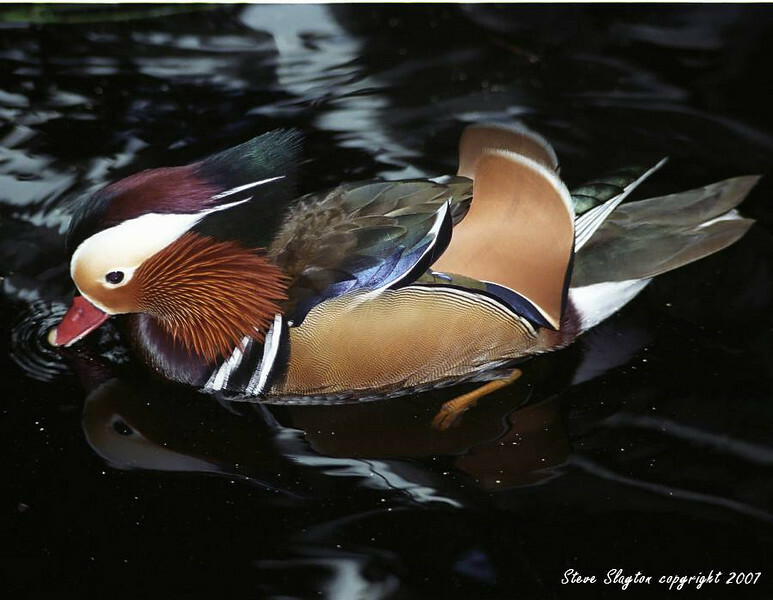 The Mandarin Duck is in the Anatidae – Ducks, Geese & Swans Family of the Answeriformes Order. Along with the Wood Duck, these ducks just amaze me in their creation. When the Lord created them, He must have had a very neat paint brush. They are so gorgeous! Every time I see them they almost bring tears to my eyes. The Mandarin Duck (Aix galericulata), or just Mandarin, is a medium-sized perching duck, closely related to the North American Wood Duck. 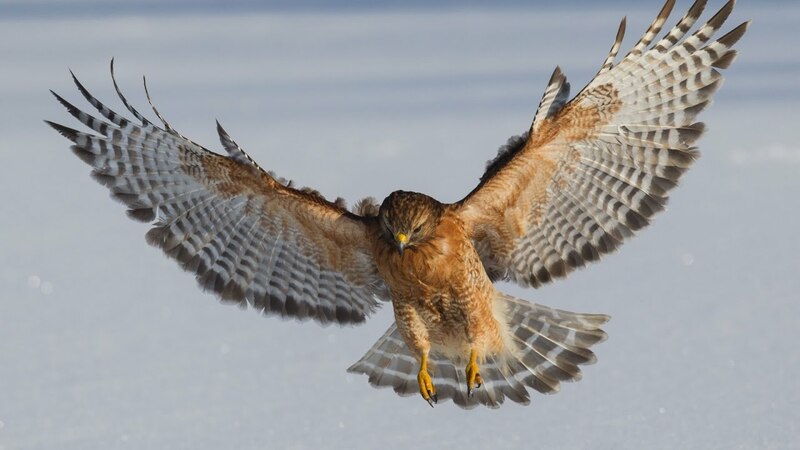 It is 16-19 in (41–49 cm) long with a 25.5-29.5 in (65–75 cm) wingspan. 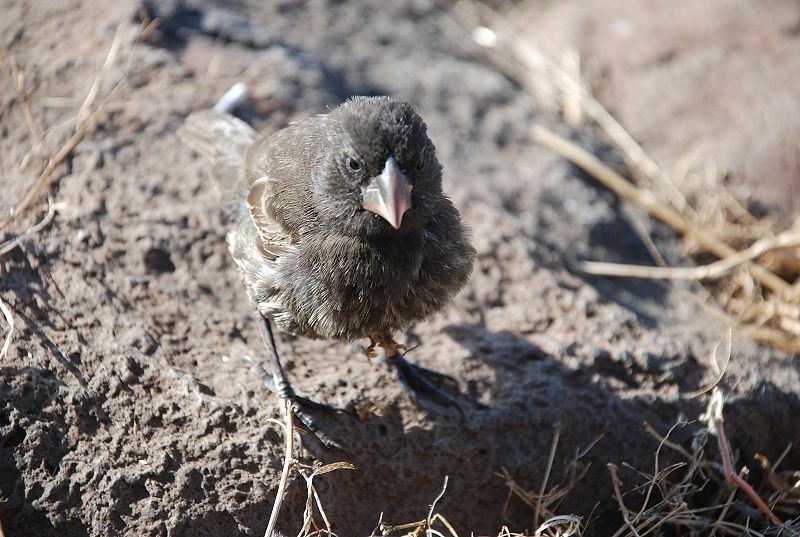 The adult male is a striking and unmistakable bird. 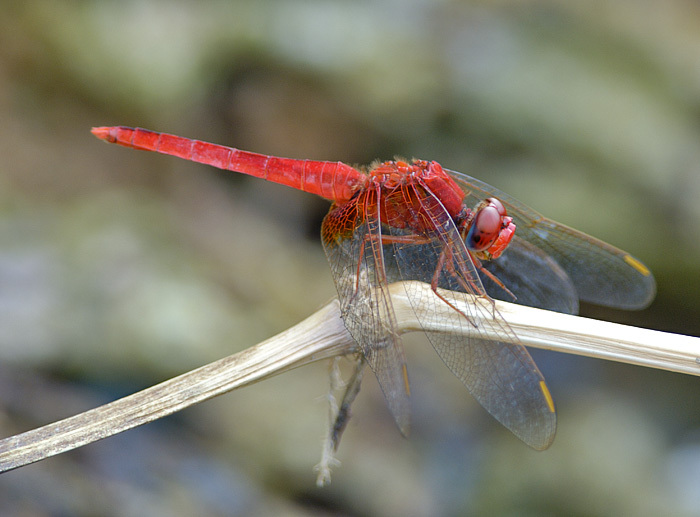 It has a red bill, large white crescent above the eye and reddish face and “whiskers”. The breast is purple with two vertical white bars, and the flanks ruddy, with two orange “sails” at the back. The female is similar to female Wood Duck, with a white eye-ring and stripe running back from the eye, but is paler below, has a small white flank stripe, and a pale tip to its bill. The Mandarin ducklings are almost identical in look to Wood ducklings, and appear very similar to Mallard ducklings. The ducklings can be distinguished from Mallard ducklings because the eye-stripe of Mandarin ducklings (and Wood ducklings) stops at the eye, while in Mallard ducklings it reaches all the way to the bill. Unlike other species of ducks, most Mandarin drakes reunite with the hens they mated with along with their offsprings after the eggs have hatched and even share scout duties in watching the ducklings closely. However, even with both parents securing the ducklings, most of them do not survive to adulthood. 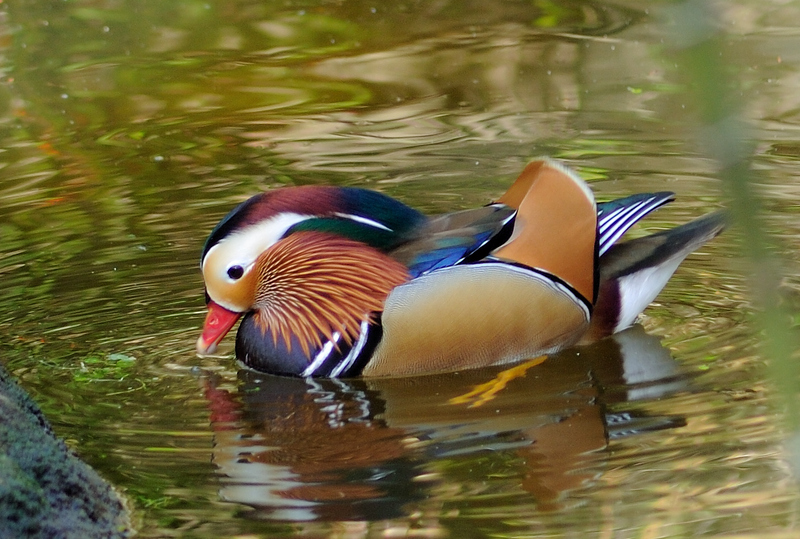 Mandarins may form small flocks in winter. Mandarin Ducks, which are referred to by the Chinese as Yuan-yang (simplified Chinese: 鸳鸯; traditional Chinese: 鴛鴦; pinyin: yuān yāng), where yuan(鴛) and yang(鴦) respectively stand for male and female Mandarin Ducks. A Chinese proverb for loving couples uses the Mandarin Duck as a metaphor: “Two mandarin ducks playing in water” (simplified Chinese: 鸳鸯戏水; traditional Chinese: 鴛鴦戲水; pinyin: yuān yāng xì shuǐ). The Mandarin Duck symbol is also used in Chinese weddings, because in traditional Chinese lore they symbolize wedded bliss and fidelity. Because the male and female plumages of the Mandarin Duck are so unalike, yuan-yang is frequently used colloquially in Cantonese to mean an “odd couple” or “unlikely pair” – a mixture of two different types of same category. For example,yuanyang (drink) and yuan-yang fried rice. 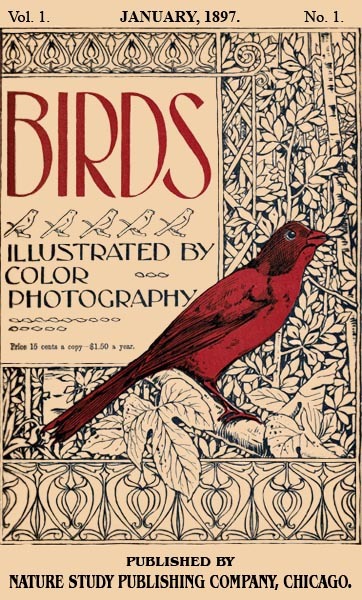 The above article is the third article in the monthly serial that was started in January 1897 “designed to promote Knowledge of Bird-Live.” These include Color Photography, as they call them, today they are drawings. There are at least three Volumes that have been digitized by Project Gutenberg.